US Energy Sciences Shunted socket troffer prismatic wide kit features snap-in reflector design and tool-free maintenance. 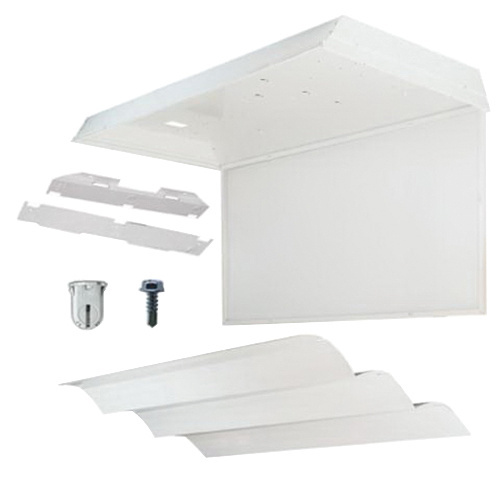 This reflector kit converts existing 2, 3 or 4 lamp T12 or T8 fixtures to a 3-lamp configuration with computer designed reflector for optimized efficiency. The brackets are universal and possess multiple mounting options. The sockets feature snap-in and twist lock mechanism. It is suitable for retail, offices and schools purposes. Troffer prismatic wide kit meets ETL and BAA standards.